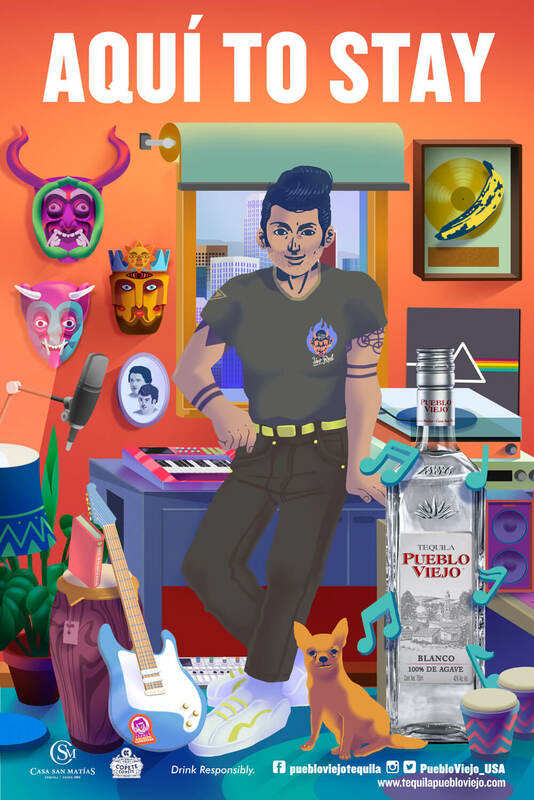 Smithe and Pogo from Copete Cohete design billboards for Tequila Pueblo Viejo ? 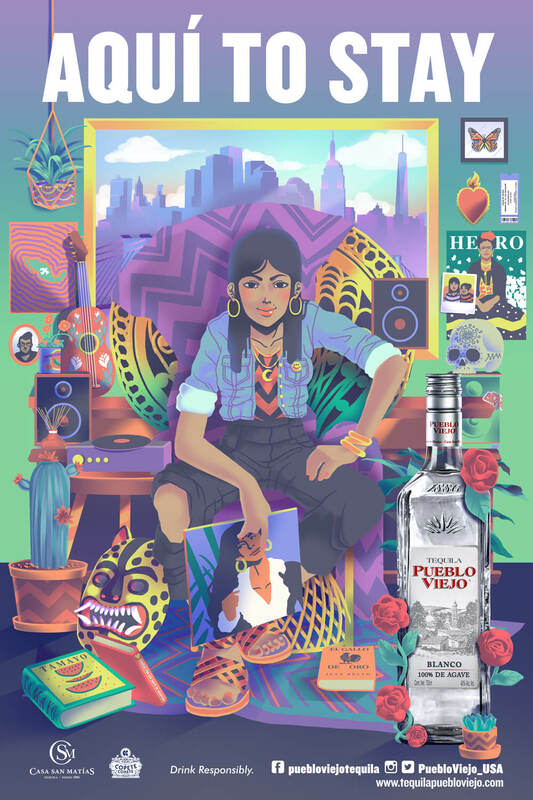 With more than 10 years of experience in the American market, Tequila Pueblo Viejo is launching a campaign designed by the Mexico studio Copete Cohete, founded by artists Smithe and Pogo, which aligns with the essence of the brand: to foster harmony and highlight the qualities of a well-meaning community that is here to share its values, traditions and heritage. 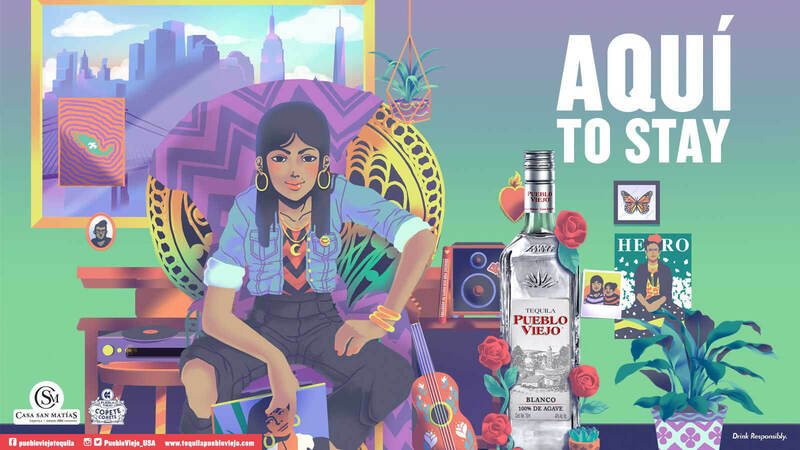 Through the story of three young Americans from different backgrounds, the graphic campaign portrays and promotes traditions, values and cultural heritage to create unity in their communities. Copete Cohete drew from the manifesto “Aquí to Stay,” a Spanglish phrase that signifies “Here to Stay,” inspiring individuals to exploit their talent and abilities to achieve their dreams and generate collective actions. 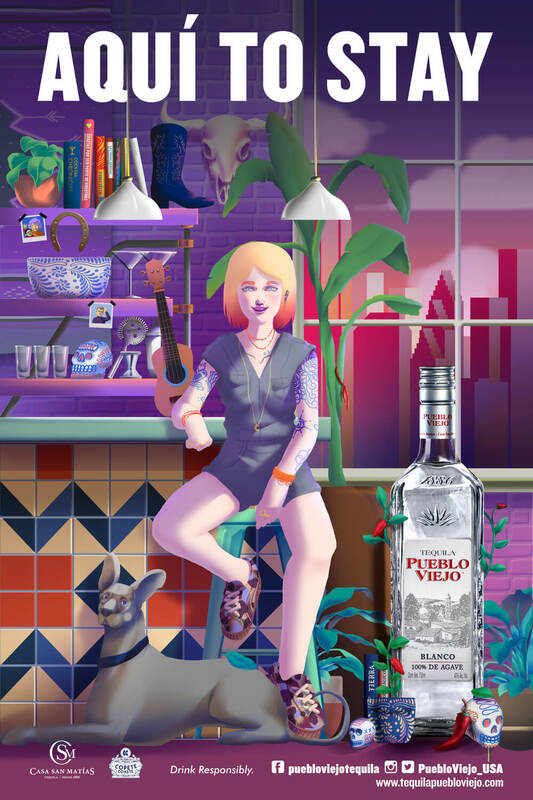 These 10 years in the American market show that Tequila Pueblo Viejo is not a trend; it is here to stay. Aida is an independent 26-year-old woman. She was born in New York from Mexican parents. She is part of the generation of Latinos that preserve and transmit their traditions with pride in their new city. David is a musician and producer living in Los Angeles. He believes the values of family unity are key to his success. He knows how to be a leader and work in a team to create new ideas for his business. Valeria lives in Houston and is considered one of the best mixologists. She enjoys working with people of different backgrounds. She is the image of perseverance, equality and fearless attitude.